A message from Johnny and Susan Winter: "Rest in peace, good friend. You will forever be in our hearts and prayers." B.B King once exclaimed, "Man, I can set my watch to your time!" "Uncle John" Turner died Thursday, July 26th, in Austin, Texas from complications related to hepatitis C. He was 62 years old. Born in Port Arthur, Texas, Uncle John was a childhood friend and bandmate of Johnny Winter. While playing drums with Winter in 1968, Turner convinced him to try a full-blown blues band format and sent for his friend Tommy Shannon to play bass. 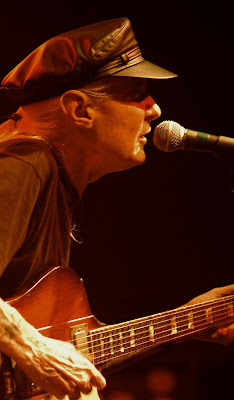 Success quickly followed, and the trio went on to record what many consider to be three of Johnny's finest albums: The Progressive Blues Experiment, Johnny Winter and Second Winter. 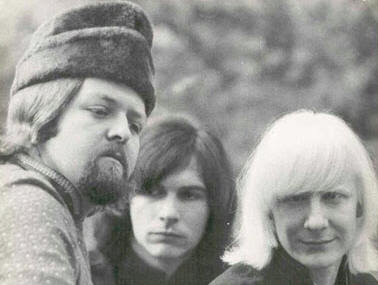 With fourth member Edgar Winter, they played Woodstock in 1969, as well as numerous other festivals and shows around the world. Seven days: Okay folks, just one more week to go before Johnny takes the stage with Derek Trucks at Eric Clapton's Crossroads Guitar Festival in Chicago! Johnny, Paul & Co. are looking forward to this major step in Johnny's return to form. 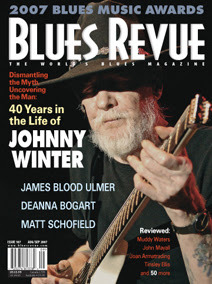 JohnnyWinter.net and LiveBluesWorld.com will be covering the action! Uncle John Turner benefit gigs: Once he's done at Crossroads, Johnny will catch a southbound and ride to Texas to headline two benefit gigs for former bandmate Uncle John Turner, the powerhouse drummer who is currently battling Hepatitis C and is in need of a liver transplant. The first will be in the San Antonio area on July 31, with another the next night in Austin. And there's more! Click here to see a photo essay by Johnny fan Tami Goldsmith, who captured Johnny in action at the Canyon Club in June. (Thanks, Tami!) There's also a great YouTube moment over at LiveBluesWorld.com. See you in Chicago! For this and more, including a review of Johnny in Finland, click here.